As a business enterprise owner, you want to cast the perfect impression on your customers. Ensuring that you offer the best products or services alone will not be enough, wooing the customers with the way the store looks counts a lot. It doesn’t matter whether you own a small enterprise or a big company, looks will cast an effect in both the cases. Be it a flower shop or a jewelry store or an eating joint, the place should appeal to the customer’s senses. Once the customer is enticed by the looks, he is sure to walk in. It is now when the products you offer will matter but luring the customer in will definitely depend on the way your store looks. How Do Bi-fold Doors Help In Enhancing The Way Your Store Looks? Very few things, especially in the door category guarantee brightness and spacious appearance. With bi-fold doors, you can be sure of the definite brightening up of your space. While the traditional doors will let in only sixty percent light, the bi-fold doors let in a great ninety percent light. So what you get is almost a wall which will let the light in. Almost every businessman will agree with the fact that the primary step to increase sales is to woo the customers. 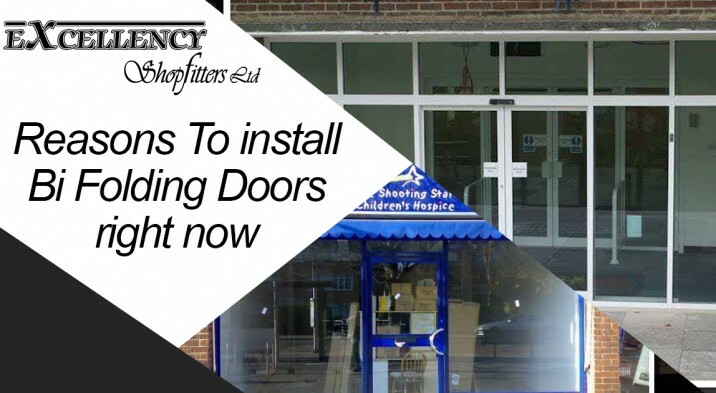 Of course, marketing and advertising play their part but it is necessary to keep up your appearance, which will benefit greatly with Bi-fold doors. Their vast transparent panels will kindle the sense of curiosity in the customers as the best of your products can be seen through it. Need we say more? With the temperature rising, many people will love to sit outside while having a leisurely time. But all the shopkeepers can’t afford to set a stall on the exterior space due to ownership issues. But what is possible is to bring the exterior inside by installing the Bi-fold doors. In addition to letting the brightness and warmth of the outside into your shop, you can always count on the Bi-fold doors to bring in the fresh air during stuffy days. Help your customers relax and refresh while you gleefully see your profits soaring.